I don’t know about you but the last week of the year always seems like summation time. What you’ve done, what you haven’t done, what has changed and what has remained the same. It also tends to bring up all of the Christmases of the past and the memories of those who are no longer with us. I always miss my relatives who are no longer with us but also rejoice with the ones who are. I also marvel at how time flies as my lovely niece and nephew grow bigger and wiser. Soon my beautiful niece will be my fashion consultant to give me a younger look. They are still too young to drink wine though so my adult family members and I get to share whatever we have at the table. We have a family tradition that on Christmas Eve we go to hear Christmas carols at St. John the Divine, a gorgeous cathedral on the West side of New York which cures one’s need to be in Paris, even if only temporarily. 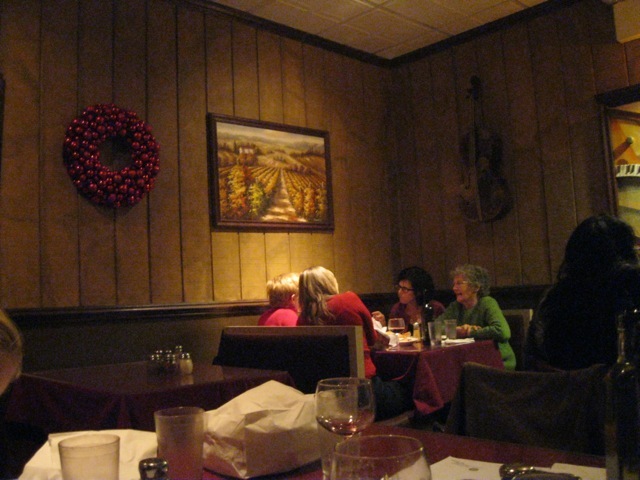 My family always goes to eat at the V&T, a pizza joint in the old fashion sense of the word. Yes, they have other items on their menu but I can’t see eating anything other than pizza at the V&T. My parents have been going there since the 1950s, specifically in 1955 when my 16 year old Dad went to Columbia University for the first time. Some traditions endure. 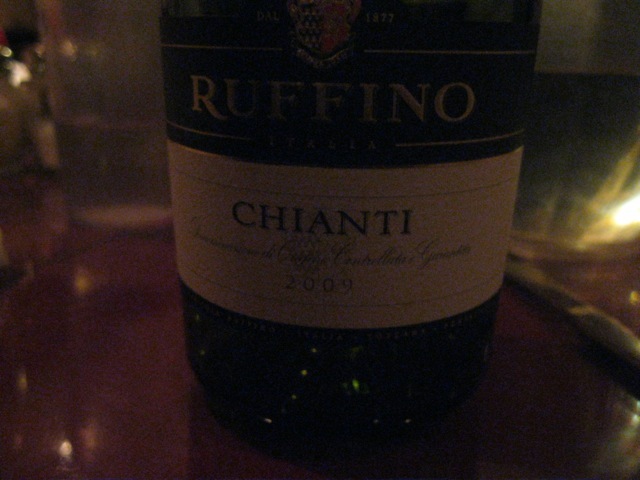 So go to the V&T and get the classic Chianti on the menu, Ruffino. While no longer in a straw basket, it still gives me that same down home feeling. I’m a sucker for tradition and this is one I will be continuing for as long as I can with the family. I’m a sucker for holiday traditions as well. In my family one of the untouchables is fish on Christmas Eve. Only thing is that on the 23rd this year it was very windy and the sea was too choppy for the fishermen in the little town where I was to go out. That meant no fish on the 24th and has left me already longing for next Christmas Eve.